If your impressions of Los Angeles have been formed by pop culture, you can be excused for not knowing that the Los Angeles metro area has the largest Asian population of any in the Western Hemisphere. On television and in Hollywood films (provided those films were just Blade Runner and her), Asians are rarer than rain in the desert. Nonetheless, there are about 1.4 million Asian-Americans living in the Southland and May being Asian Pacific American Heritage Month I decide to create a guide to Asian Los Angeles — which I hope readers will add their contributions to. 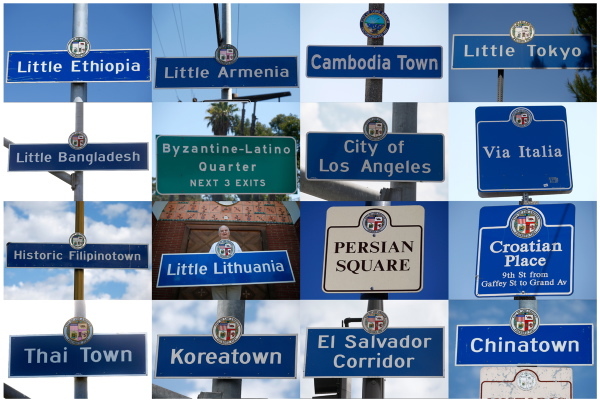 The Southland is home to many ethnic enclaves, both non-Asian and Asian including Little Bangladesh, Cambodia Town, Chinatown, Filipinotown (Historic Filipinotown), Little India (The International Cultural District), Little Tokyo, Little Osaka (Sawtelle Japantown), Koreatown, Little Seoul (The Korean Business District), and Thai Town. There are also Asian-dominated “ethnoburbs” like Alhambra, Arcadia, Cerritos, Diamond Bar, East San Gabriel, Hacienda Heights, Irvine, La Palma, Monterey Park, North El Monte, Rosemead, Rowland Heights, San Gabriel, San Marino, South San Gabriel, Temple City, and Walnut. Despite not being sufficiently numerous or concentrated to demographically dominate any community nor create an enclave, Los Angeles is also home to populations of Burmese, Indonesians, Sri Lankans, and Taiwanese that are the largest in the US and, in some cases, outside their homelands. There are, too, Asians and Pacific Islanders who don’t fall into any of those categories but are still here in sufficient numbers that I think that they’re worth acknowledgment, including Guamanians, Hawaiians, Nepalis, and Samoans. When discussing race it’s worth mentioning that race is a social concept, not a biological one. However, it’s a social concept with very real societal implications so, in my opinion, should not be blindly ignored. It’s also worth noting that physiographically speaking, Eurasia is a single continent. The borders between Europe and Asia, as well as “white” and “Asian” are arbitrary human constructs, albeit long and commonly recognized ones. As is the current convention, the term “Asian” as used in this piece is not applied to West Asian peoples such as Arabs, Armenians,Jews, and Persians — who though a vital part of Los Angeles’s fabric are in modern times generally categorized as “white” rather than “Asian,” at least by the US census and a majority of Americans (although this wasn’t always the case). Although few would characterize them as “Asians,” the very first people to live in Los Angeles had roots there. Most archaeologists accept that the first Americans walked across a land bridge into the Americas and today, a mere 82 kilometers separate the Chukotkan homeland in Asia and the Iñupiat homeland in the Americas. Today there are probably zero Asians in Los Angeles who arrived via land bridge. In 1587, a group of Filipinos arrived in Morro Bay via a Spanish galleon. Ever since, people from East Asia, South Asia, Southeast Asia, and the South Pacific have more often chosen boats or planes rather than wait for another ice age. It should come as no surprise that most East Asian immigrants to the US would choose to live in Los Angeles. After Lima, Peru and Santiago, Chile, it’s the largest city on the American shore of the Pacific Rim. And although Lima and Santiago have their Chinatowns (and Peru in particular has a large Asian Latino population), neither city approaches the diversity of Los Angeles. Nor, really, does San Francisco or Vancouver — two West Coast cities with a larger percentages of Asian inhabitants but being far smaller cities, nowhere near Los Angeles’s numbers. Los Angeles’s Asian population is decidedly heterogeneous and but just as in Asia, there is — especially in the San Gabriel Valley, Southeast Los Angeles, and North Orange County — something of a pan-Asian culture that also exists and which can be observed at the plays of East West Players, the art of Pacific Asia Museum, the movies of Los Angeles Asian Pacific Film Festival, and events like the Lotus Festival. This cultural variety and construction draws to Los Angeles adventurers, explorers, foodies, tourists, Asian immigrants, Asian students, Asian expats, Asia-philes, multiculturalists and is great for people like me who’d like nothing more than to travel the globe but don’t have the financial means to do so. As of 2014 there are an estimated 97,865 Afghani-Americans. Afghani-Americans have formed small communities in Fremont, northern Virginia, the Northeast, and the Los Angeles area — specifically Aliso Viejo, Irvine, and Simi Valley. Prominent Afghani-Angelenos include actress Azita Ghanizada, architect Daveed Kapoor, writer Khaled Hosseini, and musician Naim Popal. Los Angeles area restaurants serving Afghan cuisine include Ariana (in Tarzana), S Gyros & Kabob House and Khybar Restaurant (both in Reseda), Family Meat Market (in Northridge), Kebab House (in Panorama City), all of which are not surprisingly in the San Fernando Valley. 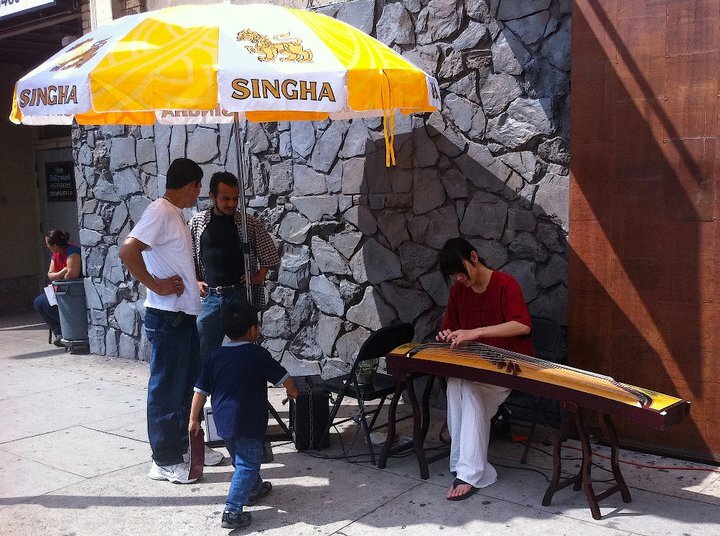 Bangdaleshi-Americans are the fastest growing Asian-American group in Los Angeles. The concept of Bangladeshi is closely intertwined with the Bengali ethnicity, although Bengalis are concentrated not only in Bangladesh but the Indian states of West Bengal and Tripura. As with many Asian-Americans, before the 1960s small numbers of Bengalis came to the US on student visas. When enacted in 1968, The Immigration and Naturalization Act of 1965 abolished the National Origins Formula that had been in place in the US since 1921 but for Bengalis, the outbreak of the Bangladeshi Liberation War in 1971 spurred a many more refugees to relocate, often to the Wilshire Center neighborhood. 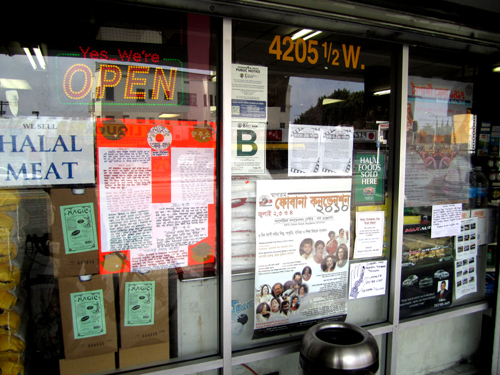 In 2008, Mohammed Akhter H. Miah filed an application with Los Angeles to designate a stretch 3rd Street “Little Bangladesh.” Recognition came in 2010 and today Little Bangladesh is home to establishments including Swadesh, Bengal Liquor, Asian Mart, Bhali Discount Store, Halal Meat, Bangla Bazar & Restaurant, Aladin Sweets & Market, Deshi Food & Groceries, and Biriyani Kabob House. Bengali and Bangladeshi cultural observances include Bengali New Years, Bangladesh Unity Federation of Los Angeles, and the Bangladesh Day Parade and Festival. “Burmese” is an identity closed entwined with the Bamar ethnic group (from whom both “Burma” and “Myanmar” are derived). However, Burmese also refers to those from Burma of ethnic minorities. It the US, most early immigrants from Burma were of Chinese ethnicity, many of whom fled Burma after military leader Ne Win established martial law in 1962 and anti-Chinese riots erupted in 1967. In the 1980s, Bamars, Karens and other Burmese people began fleeing Myanmar following a national uprising in 1988 and violence in the Karen State. As of 2010, there were 100,200 persons of Burmese origin living in the US and the largest concentration was in the San Gabriel Valley, especially in Monterey Park, Rosemead and San Gabriel. Local Burmese restaurants (and restaurants serving Burmese dishes) include The Golden Owl (La Puente), Daw Yee Myanmar Café and Yoma Myanmar (both Monterey Park), Bhanu Indian Grocery & Cuisine (San Gabriel), and Rangoon Kitchen (West Covina). 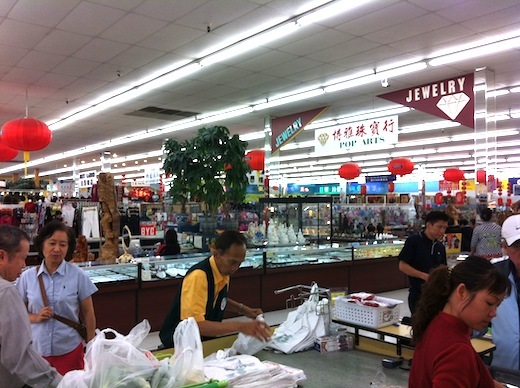 Outside the San Gabriel Valley there is Jasmine Market (Culver City) and Mutiara Food & Market (Inglewood). 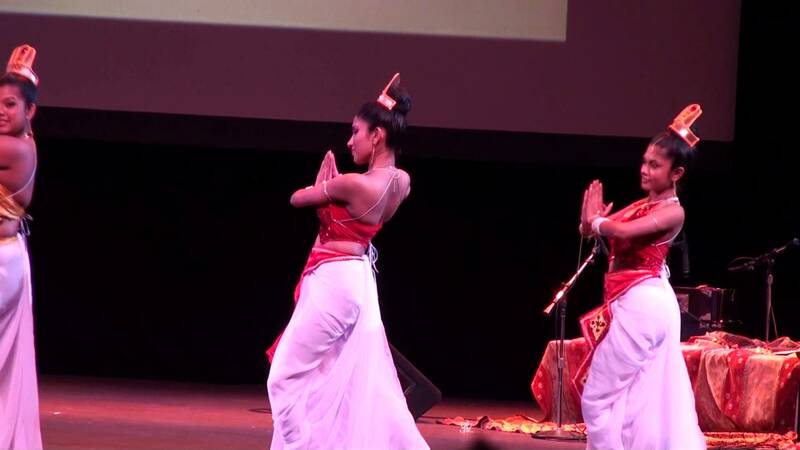 Burmese organizations and events include the Network of Myanmar American Association, One Myanmar Community, and the annual Myanmar Film Festival. 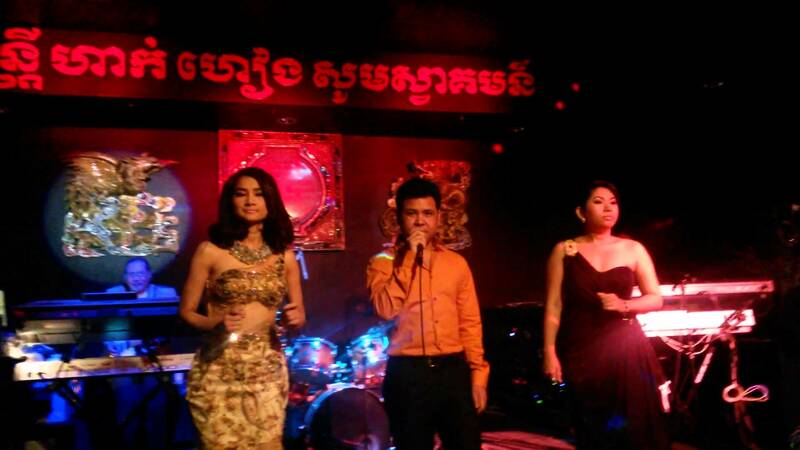 Although not synonymous, 90% of Cambodians are of the Khmer ethnicity. The next largest group are Viet, who make up 5%, and Chinese, Hmong, Pong, Tai, and others are much smaller. Significant numbers of Khmer started coming to California after 1975, after Phnom Penh fell to the Khmer Rouge, who in turn killed up to 3 million people before Vietnam toppled them in 1979. 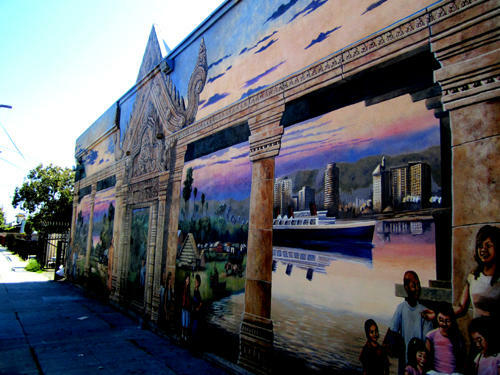 Most Khmer settled in California, particularly in Stockton, Fresno, Oakland, Modesto, and most of all, Long Beach. 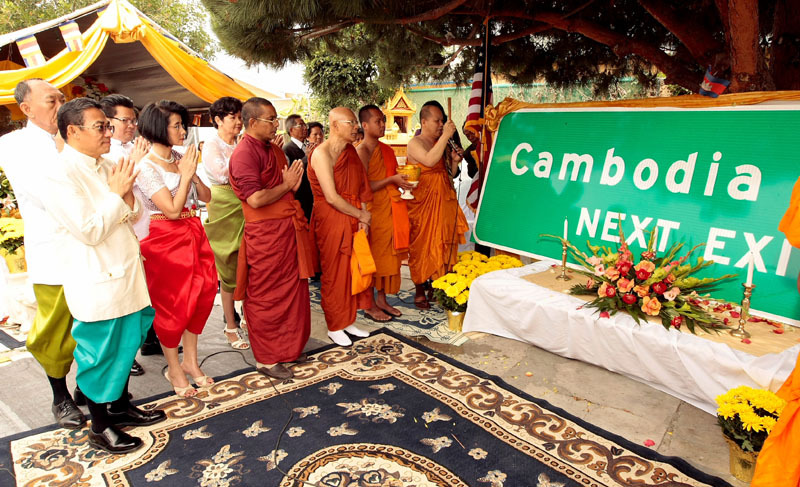 Although Khmer had long lived in the area, it wasn’t until 1991 that Anaheim Street saw the construction of the first Cambodian business, by the United Cambodian Community. Today there are several other social services as well as Cambodian clothing, jewelry, music, and video stores. 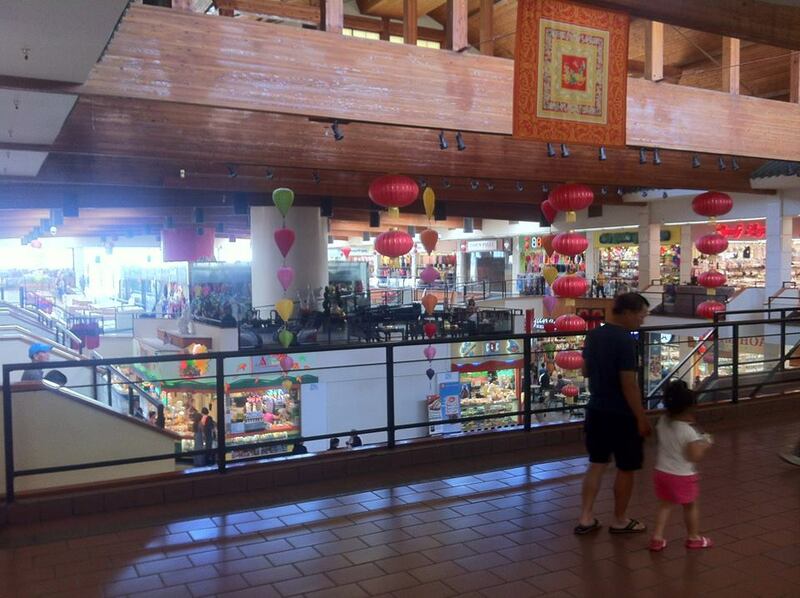 There are several markets which cater to Cambodians too including Riverside Supermarket and Kun Heng Super Market. Cambodia Town restaurants include Phnom Penh Noodle Shack, Siem Reap Asian Cuisine, Elephant Garden, Monorom Cambodian Restaurant, Sophy’s Fine Thai & Cambodian Cuisine, Crystal Thai-Cambodian Cuisine, Cyclo Noodles, Terri’s Kitchen, Grand Paradise Restaurant, Dara Restaurant, Bamboo Island Restaurant & Bakery, and Dragon Express. 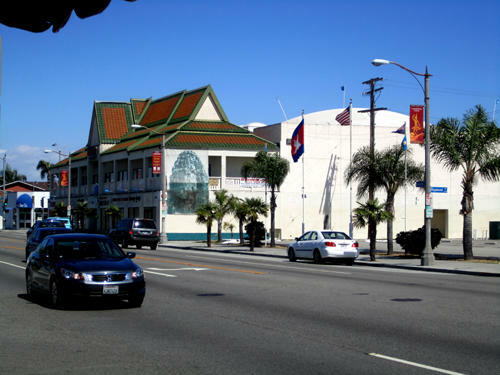 North of Cambodia Town proper is a smaller pocket of Cambodian-catering establishments located mainly along East South Street and including Kim Sun Kitchen, Golden Chinese Express, VND Market, and Wat Sonsam Kusal. Two of Cambodia Town’s restaurants, Hak Heang Restaurant and La Lune Imperial (and maybe Little La Lune), feature not just Cambodian cuisine but live entertainment and although I know next-to-no Khmer, the music is intoxicating, funky, and appealing anyway, which is probably why the non-Khmer guys in Dengue Fever recruited Chom Nimmol and began playing Khmer-style music. 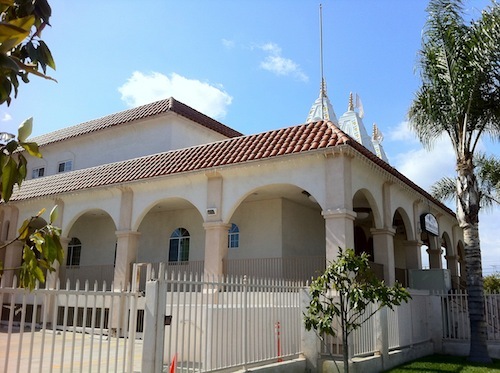 The Khmer community is also served by the Cambodian American Buddhist Temple, Cambodian Association of America, Cambodia Town, Khmer Student Coalition, and United Cambodian Community of Long Beach, CA. 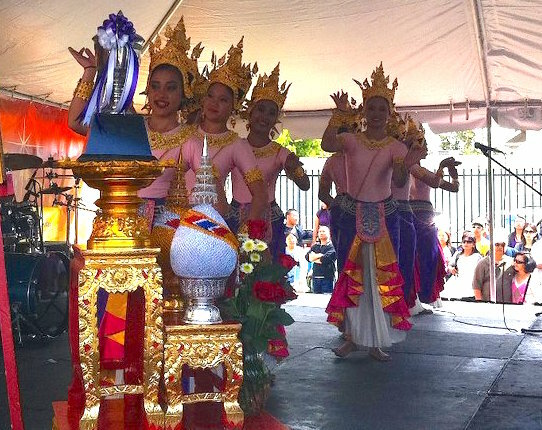 Cambodian culture is also promoted by Khmer Arts Academy, annual Cambodian New Year observances, the Cambodia Town Culture Festival, the Cambodia Town Film Festival, and in the past at least, the Cambodian Arts and Culture Exhibition. China is the most populous nation in the world. As of 2013 there were approximately 1.357 billion and its neolithic history stretches back at least to 10,000 BCE. There are 56 recognized Chinese ethnicities but 91.59% of Chinese are Han. Nearly all Chinese-Americans are Han but many specifically came from Guangdong either to prospect for gold or work on the railroads. Today Chinese-Angelenos come not just from Guangdong but the rest of the country, Taiwan, and overseas populations. There were historically several Chinatowns in the Southern California but the reception they received was often disturbingly hostile. Riverside passed ordinances which forced the Chinese out of their enclave whereas Anaheim and Santa Ana just burned their Chinatowns to the ground. In Los Angeles’s Chinese massacre of 1871, eighteen Chinese were murdered by a mob of 500 white Angelenos in what remains the nation’s worst mass lynching. Naturally, that impelled many to leave for the East Coast, but even despite racism and other hardships, the population of Chinatown grew to about 3,000 by 1890. By 1920, Los Angeles’s Chinatown had grown sufficiently to support an opera company, three temples, a Chinese newspaper, and other businesses but after it was chosen to be the site of Union Station, its demolition began. Although mostly erased in the 1930s, the final vestiges were obliterated by the construction of the 101 Freeway. Los Angeles’s new Chinatown emerged nearby in what had previously been Little Italy (and before that Frenchtown and before that Sonoratown). Christine Sterling, who’d given El Pueblo’s Olvera Street a kitsch-Mexican makeover, opened China City, a walled enclave constructed from Hollywood film sets in 1938. 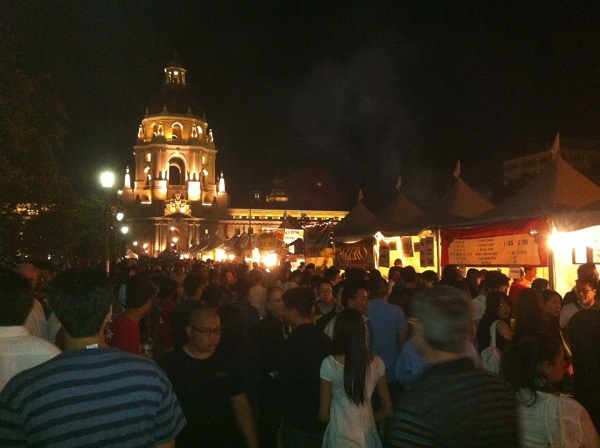 Nearby, Central Plaza was developed as much to be a tourist attraction as Chinese enclave. Although both owed more to the Western imagination of China than the real thing, Chinatown did become authentically Chinatown and a Chinese-American cabaret scene known as the “Chop Suey Circuit” flourished there and elsewhere from the 1930 to the ‘50s. Although exotified and stereotyped, Chinese-Angelenos did make history. Los Angeles native Anna May Wong (née Wong Liu Tsong) she starred in 1922’s The Toll of the Sea, which made her the first Chinese-American movie star. Pioneering filmmaker Esther Eng (née Ng Kam-ha) established a Cantonese-language film company, Gwong Ngai, in Los Angeles, which beginning in the 1930s later made Cantonese language films exhibited in both the US and Hong Kong. Although there were Chinese movie theaters at least as recently as the 1990s, today the only cinema that regularly shows Chinese films that I know of is AMC Atlantic Times Square 14 in Monterey Park‘s Atlantic Times Square. On television, on the other hand, there are more than a dozen Chinese stations and on the radio there’s AM 1300 KAZN and AM 1430 KMRB. 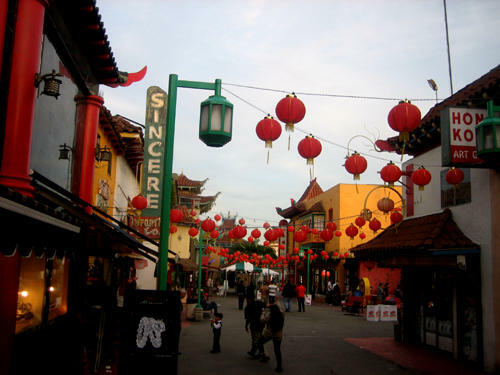 Later Chinatown’s population increasingly attracted Mandarin-speaking mainlanders, Khmer, and Vietnamese but it remains both mostly Chinese and the most Asian-American neighborhood in Los Angeles. Meanwhile, the most of the nation’s Chinese-dominated suburbs are found east of the Eastside in the San Gabriel Valley. Most of the early ethnic Chinese who transformed the Far Eastside came from Taiwan but today, although Mandarin remains the lingua franca, it’s more often spoken with a mainland accent. 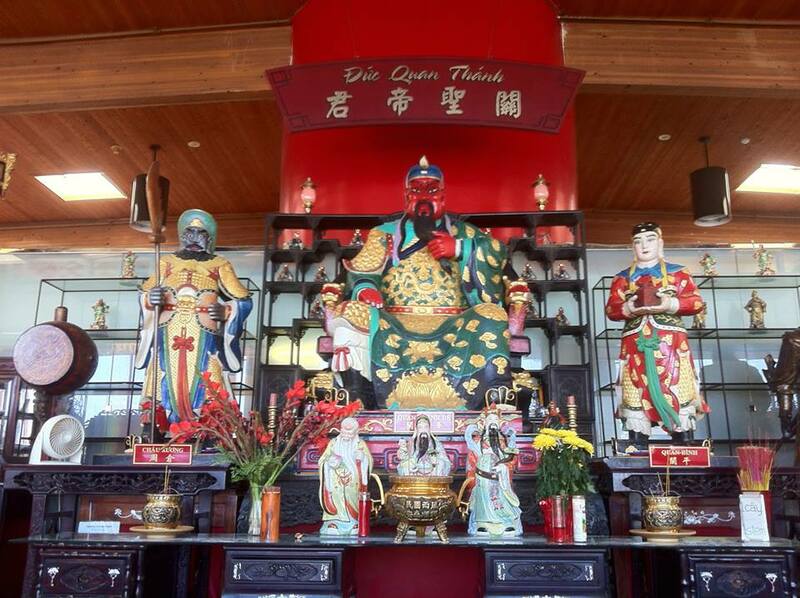 There are several attractive Chinese temples around Los Angeles such as Chinatown’s Thiên Hậu Temple and the Ming Ya Temple in Hillside Village as well as at least one lovely Chinese Garden. 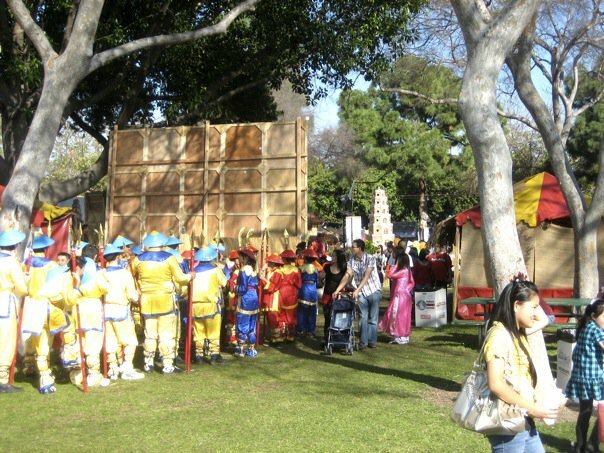 Chinese culture is also promoted in the region by the Chinese American Museum, the Chinese Historical Society of Southern California and the biggest annual Chinese festival is the Lunar New Year. Filipino-Americans are the most numerous Asian-Americans living in California. As of 2013 there were 223,572 Filipinos living in the Los Angeles County for whom Tagalog was the preferred spoken language — a figure which doesn’t include the many more Pinoys for whom English is primarily spoken — nor the 41,391 Tagalog speakers in Orange County. The historic Little Manila was located in Downtown Los Angeles, near Little Tokyo. Later the population moved across the hill to Westlake, the northern end of which was designated Historic Filipinotown which falsely implies that there are few there today. 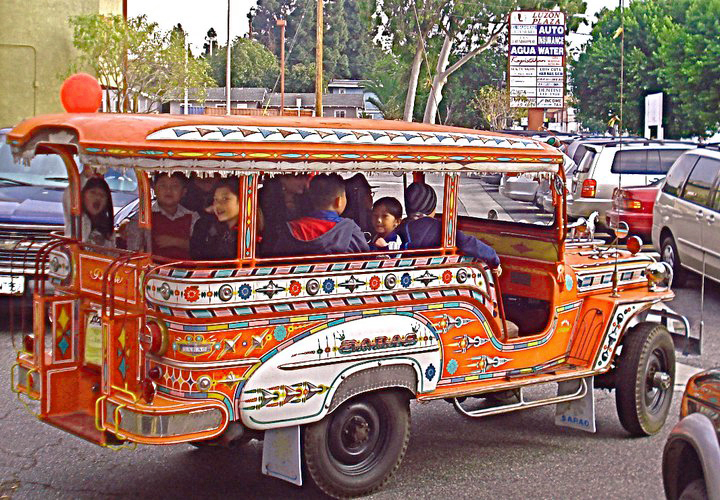 Whilst it’s true that most Filipinos live in suburbs — particularly Artesia, Atwater Village, Carson, Cerritos, Eagle Rock, Glassell Park, Hawthorne, Norwalk, Panorama City, Silver Lake, and West Covina, Historic Filipinotown remains an important Pinoy district. In “Historic” Filipinotown one can still find Filipino residents, churches (Filipino Christian Church, Iglesia ni Kristo, St. Columban Filipino Catholic Church, United Church of God Ministries, Praise Christian Fellowship, and Congregational Christian Church), housing developments (Manila Terrace, Mindanao Towers, Mountain View Terrace, and Villa Ramos), social services (Filipino American Community of Los Angeles, Filipino American Library, Filipino American Service Group, Historic Filipinotown Chamber of Commerce, Pilipino American Network and Advocacy, Pilipino Workers Center, Rotary Club of Historic Filipinotown, and Search to Involve Pilipino Americans), and Filipino food (Bahay Kubo, Dollar Hits, Filipino Bagnet Restaurant & Bakery, Kapistahan Grill, Little Ongpin, My Mom’s Bakeshop, Nanay Gloria, and Temple Seafood Market). Filipinotown also hosts the Annual Historic Filipinotown Festival & 5K Run, Philippine Independence Day Parade and Festival, Christmas Lantern [Parol] Parade and has a Filipino WWII Veterans Memorial and Eliseo Art Silva’s large mural, Gintong Kasaysayan, Gintong Pamana. Outside of Historic Filipinotown, Filipino movies are regularly screened at Edwards Cerritos Stadium 10 in Cerritos and Filipino culture is also showcased at the annual Festival of Philippine Arts and Culture, established in 1990. Guamanians are descended from Guam, the largest and southernmost of the Mariana Islands. Most are Chamorros, a people who arrived in the archipelago around 4,000 years ago. In 1668 the Marianas were conquered by Spain, who remained in control of them until 1898. After that, the US took possession of Guam and the rest were handed to Germany and Japan. Whilst the Northern Mariana Islands were ultimately granted independence, Guam remains under American control. The Guam Organic Act of 1950 established Guam as an unincorporated organized territory of the US, which means that although Guam is ruled by the US, Guamanians still lack the rights and privileges taken for granted by American citizens, such as the right to vote for our ruler. Many Chamorros came to California in the 1960s to pick fruit but ultimately concentrated around San Diego and Los Angeles. Today San Diego has a few Chamorro restaurants such as Chamorro Grill, Tio Chino, and Island Soul Bistro (in Lemon Grove). In Los Angeles — even Carson and Long Beach, where Chamorros are concentrated, evidence of Guamanian culture is less observable. The Hawaiian Islands were first colonized around 300 CE and there is some (if inconclusive) evidence that early Hawaiians had contact with California’s native Chumash and Tongva. In 1893, Hawaiians became Americans not through immigration but conquest, after Queen Liliʻuokalani was overthrown. In 1897, Hawai’i was annexed by the US and it was made a state in 1959. The largest population of Hawaiians outside of Hawaii live in the Los Angeles area and their influence on Southern California’s culture is profound. Although surfing was known too in Samoa and Tonga, it was first brought ashore by Hawaiians in 1885. Hawaiians also inspired the Tiki craze that gripped Southern California from the 1930s through the ‘60s. Surf music, a style of music more associated with Southern California than any other, was heavily indebted to Hawaiian music. 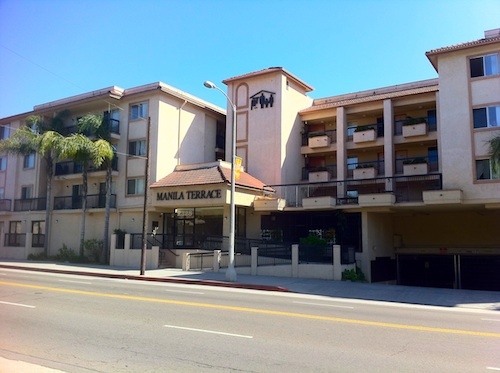 Evidence of Hawaiian influence on Southern California kitsch can still be seen in faux-Polynesian mid-20th Century motels and apartment complexes such as my own, Outrigger Apartments in East Pasadena, Kona Gardens in Garden Grove, Aloha Apartments in Gardena, Golden Tiki Apartments in Glendora. It’s even more strongly in evidence in tiki bars such as Don The Beachcomber, the Purple Orchid, Tiki No, the Tiki Ti, the Tonga Hut, Trader Sam’s, Trader Vic’s. Tiki culture is kept alive by the Tiki Beach Festival, Tiki Night at the Egyptian, and Oceanic Arts in Whittier. More arguably authentic examples of Hawaiian culture is usually found in Hawaiian restaurants such as Ohana BBQ (Sherman Oaks), Poke – Poke (Venice), Aloha Food Factory and Shakas Hawaiian Flavors (both in Alhambra), Rutt’s Hawaiian Cafe and A-Frame (both in Culver City), Roy’s (Pasadena), Aloha Café (Little Tokyo), Shakas (Monterey Park), Canoe House and Hawaiian Garden BBQ (both in South Pasadena), Waikiki Hawaiian Grill (Hawthorne), and the Hawaiian chains L&L Hawaiian Barbecue and Ono Hawaiian BBQ (the latter headquartered in Diamond Bar). There’s also the E Hula Mau in Long Beach and, little further away, Santa Barbara hosts the annual Aloha Spirit Bash. India has the second largest population in the world — 1.252 billion as of 2013. It is one of humanity’s oldest cradles of civilization and the Indus Valley Civilization was the first urban culture in South Asia. There are 1,652 languages spoken in India although about 41% of Indians speak Hindi. Bengali, the next most spoken language, is spoken by about 8% of Indians, followed by smaller numbers of Telugu, Marathi, Tamil, Urdu, Gujarati, and many more. About 80% practice of Indians identify as Hindus. Indian-Americans are more likely than Indians to speak Hindi and less likely to practice Hinduism, with 18% self-identifying as Christian and 10% as Muslim. Although the New York Metropolitan Era has the largest population of Indian-Americans, California has the largest population of any state and Los Angeles is home to the second largest population. Early Indian immigrants tended to settle in Northern California but with the elimination of immigration quotas, larger numbers arrived in the late 1970s and early ‘80s and increasingly settled around Los Angeles. 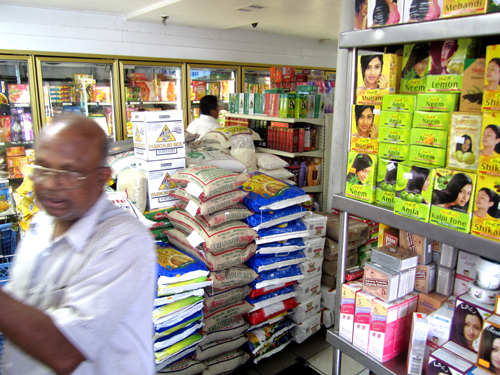 In 1970, the first Indian grocery store, Selecto Spices, relocated from Hollywood to Artesia, where over time Pioneer Boulevard emerged as Little India’s main street. Semi-official recognition of the neighborhood came in 1991 with the formation of The Little India Chamber of Commerce. Today there are about 120 Indian-oriented shops in the neighborhood, including clothing stores, eyebrow-threading/hair removal places, home furnishers, fabric stores, jewelers, grocery stores, video & music stores, and restaurants. Indian food is probably the chief draw for tourists and Gunjurati, Punjabi, and Maharashtrian cuisine are particularly common. More Indians arrived between 1995 and 2000, often settling in Southeast Los Angeles, the San Gabriel Valley, and North Orange County. Movie theaters such as UltraLuxe Cinemas Garden Walk (Anaheim), Edwards Cerritos Stadium 10 (Cerritos), AMC Covina 30 (Covina), Laemmle’s Town Center 5 (Encino), Edwards Westpark 8 (Irvine), Naz 8 Cinemas (Lakewood), AMC 30 at the Block and Century Stadium 25 and XD (both in Orange), Edwards West Covina (West Covina), and Cinemark 18 & XD (Westchester) regularly show Hindi, Tamil, and Telugu language films. On television there’s Channel 18.12, Diya TV. Indian culture is also promoted and observed by the Arpana Dance Company, Bay Area Maharashtra Mandal, Ektaa Center, Friends of India Society International, India Association of Los Angeles, Karnataka Cultural Association of Southern California, Malathi Iyengar & Rangoli Company, NDM Bollywood Dance Troupe, Rajasthan Association of South California, Rangoli Foundation of Art & Culture, South Asian Network, Sri Aurobindo Center of Los Angeles, Telugu Association of Southern California and the Deepavali/Diwali celebrations which take place on Pioneer Boulevard and at various Hindu temples in the Southland. Due in part to their colonial relationship with the Dutch, who ruled the East Indies for centuries, many Indonesians who emigrated to California first settled alongside the Dutch in the dairyland of Southeast Los Angeles. Many of the early Indonesian-Americans were of mixed Indonesian-Dutch ancestry, such as the Van Halens and Mark-Paul Gosselaar (TV’s Zack Morris). More Indonesians began to move to Southern California in the 1960s, most of whom were ethnically Chinese and fleeing unrest known, somewhat ironically, as the Transition to the New Order. Indonesian immigration tripled in the 1980s, including many more Indonesians of various native Indonesian ethnicities, such as Javanese and Sumatran. 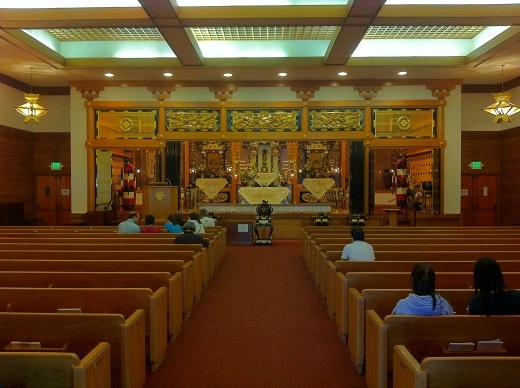 Most Indonesians in the US are Christian and Indonesian churches have often served as de facto community centers, usually catering to denominations closely tied to ethnicity. 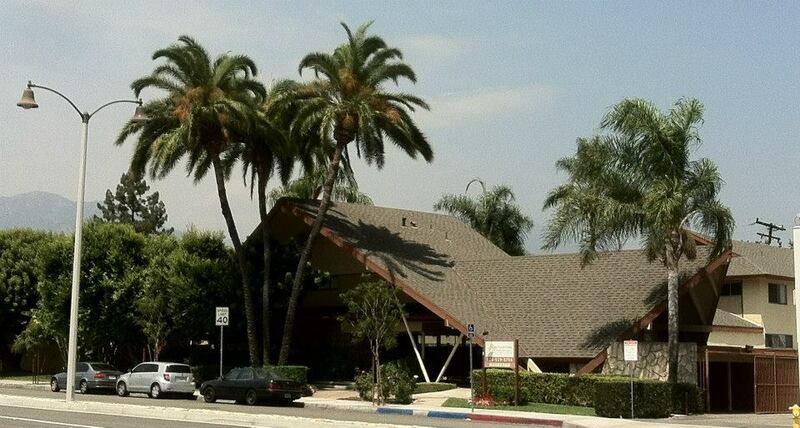 The first Indonesian church in the US was a mostly-Indo Seventh-day Adventist Church established in Glendale in 1972. The second Indonesian church founded in America was a largely Chinese Baptist one. Now there are Indonesian churches in most areas with Indonesian populations, which tend to be spread from the South Bay to the Inland Empire. More of interest to non-Indonesians, surely are Indonesian restaurants such as Borneo Kalimantan Cuisine, Indo Kitchen, and Wong Java House (all in Alhambra); Chicky BBQ & Grill and the Pondok Kaki Lima – Indonesian Food Bazaar (both in Duarte); QQ Kopitiam and Top Restaurant (both Pasadena); Java Spice (Rowland Heights); Banana Leaf (Temple City); and Bethania Depot, Borneo Kitchen, and Janty Noodle (all West Covina). Beyond the San Gabriel Valley there’s Kaya Street Kitchen (Beverly Grove), Komodo Cafe and Komodo Truck (Pico-Robertson), Ramayani (Tehrangeles), Simpang Asia (Palms), and Komodo Venice (Venice), Bowld (Toluca Lake), Dutch Bakery & Variety Foods (Ontario), Gowess Food Truck (Koreatown), Indo Ranch (Lake Forest), Java Bistro (Rancho Cucamonga), Satayz Asian Cuisine (Colton), Southeast Asia Market (Loma Linda), Singapore’s Banana Leaf (Fairfax), Tempe House Spicy Food (San Bernardino), Toko Rame Indonesian Restaurant (Bellflower), and Warung Pojok (Garden Grove). Indonesian culture is also promoted at the annual Los Angeles Indonesian Festival (observed at the Consulate General of the Republic of Indonesia in Los Angeles) and the Los Angeles Indonesian Film Festival. Local Indonesian media outlets include Indonesian Journal, Actual Indonesia News, and Indonesia Media. After the Chinese Exclusion Act was passed in 1882, Japanese immigrants arrived in large numbers to fill the immigrant-labor void and Japanese established themselves in agriculture and nurseries as well as fishing industries. 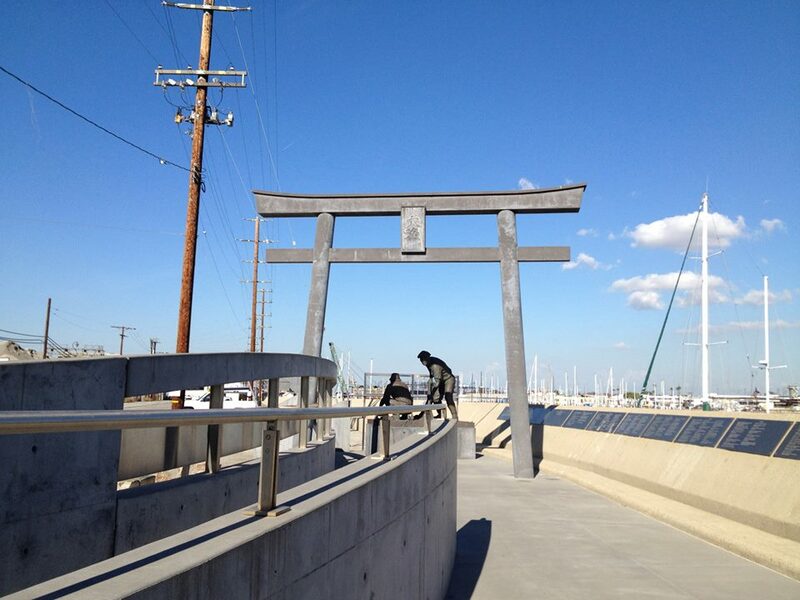 The Japanese established the now vanished communities like Furasato on Terminal Island vanishing ones in Boyle Heights, Leimert Park, Monterey Park and Sawtelle. The biggest disruption to Los Angeles’s Japanese population was the internment of some 120,000 during World War II. After the war’s end and the restoration of freedom, Japanese-Americans tended to disperse but today there are still official Japanese enclaves (Sawtelle’s Little Osaka and Downtown’s Little Tokyo) and fairly large populations in the South Bay suburbs of Gardena and Torrance. The oldest Japanese enclave was Little Tokyo, which first emerged in the 1880s and was widely recognized by that name as early as 1905. 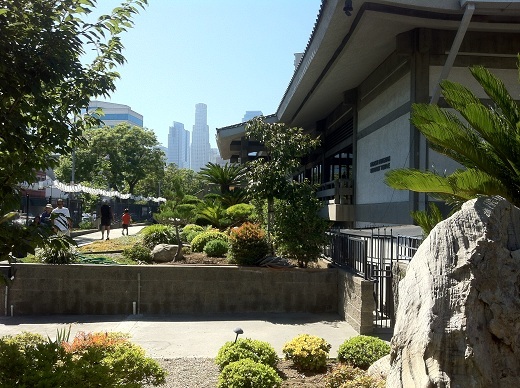 The Japanese Association of Los Angeles was formed in the neighborhood around 1890. Rafu Shimpo, the first Japanese newspaper founded outside of Japan, was established in 1903. After the San Francisco Earthquake and Fire of 1906, many Japanese moved from the San Francisco Bay’s Japantown to Los Angeles’s Little Tokyo and the Eastside. Japanese immigration to the US peaked in 1907, when 30,000 Japanese crossed the Pacific and by the following year there were about forty Japanese-owned businesses along the two block stretch on First Street between Los Angeles Street and Central Avenue. Although by most measures not a racially enlightened place or time (the California Alien Land Law of 1913 primarily targeted Japanese), Sessue Hayakawa, an actor who often performed on stage in Little Toyko became the first Asian-American film star after appearing with Fannie Ward in Cecil B. DeMille’s 1915 film, The Cheat. On the Westside, the annexed town of Sawtelle’s Japanese population increased rapidly from 3,500 to 10,700 between 1920 and 1925. 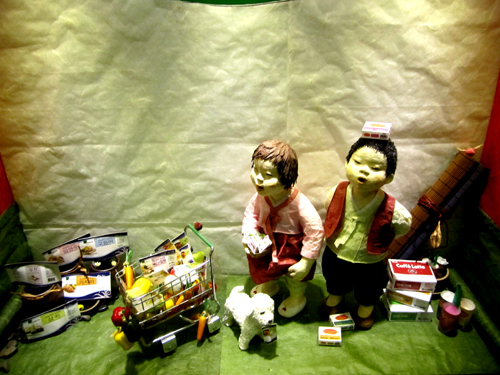 In the 1920s and ‘30s it was dominated by Japanese nurseries. 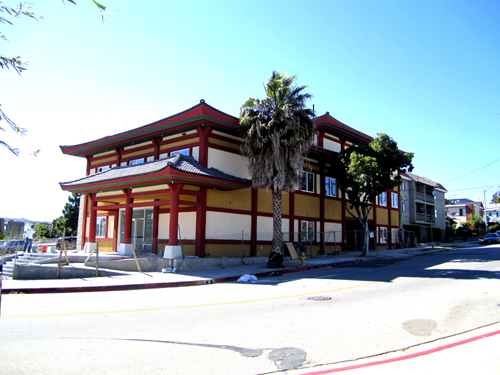 In the ’20s, the large Kobayakawa Boarding House was built by Riichi Ishioka on Sawtelle Boulevard, which housed up to 60 people and remained in operation until the 1970s. With the internment of the Japanese, all of their enclaves vanished and Little Tokyo briefly flourished as the black neighborhood of Bronzeville. After the war some Japanese returned to Little Tokyo but by the 1970s some considered the neighborhood to be blighted and most of the historic buildings were razed (buildings on the north side of 1st Street were spared). 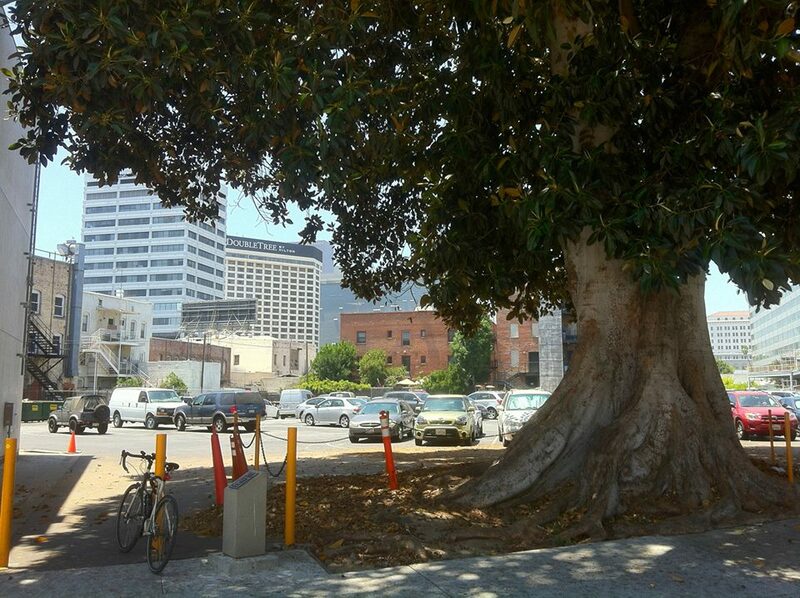 Today Little Tokyo’s businesses are largely operated by Koreans but most have taken obvious pains to preserve the neighborhood’s Japanese character, as exemplified by the iconic Fire Tower and Japanese Village Plaza, which were designed by architect David Hyun. Meanwhile, Little Osaka is increasingly pan-Asian and is appropriately home to the Asian-American Giant Robot. The largely Japanese suburbs of Gardena and Torrance actually saw their Japanese populations increase in the 1970s. 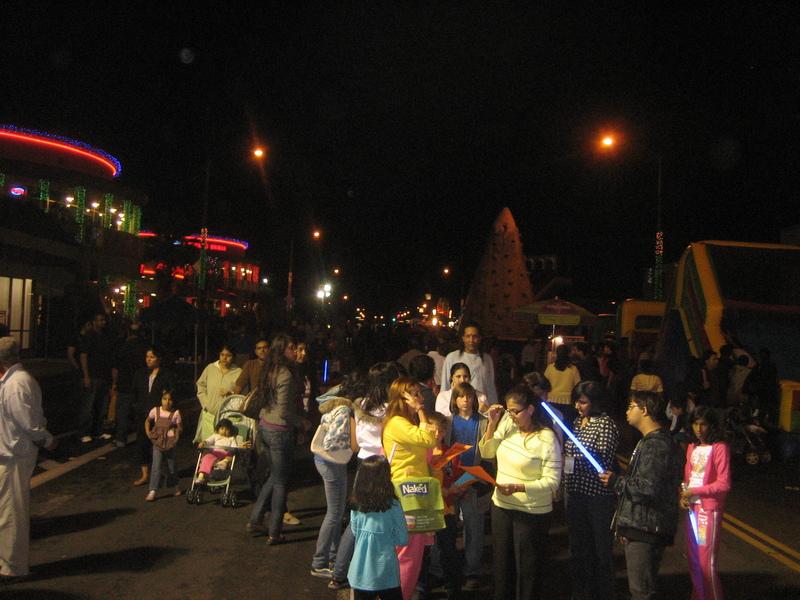 Today, at over 60,000 residents, Gardena still has a strong Japanese population and is home to many Japanese restaurants, several shopping centers, Gardena Buddhist Church (established in 1926), Bookoff, the American headquarters of Osaka-based Marukai Corporation, and IWASAKI Images of America, who make the plastic food found in many restaurant displays. Torrance, meanwhile, is sometimes jokingly referred to as both Torrance Prefecture or Japan’s 48th Prefecture. 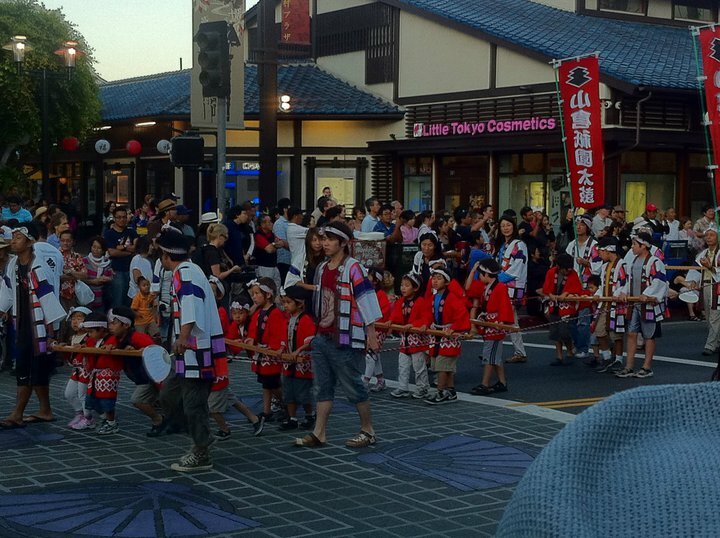 Torrance has the second highest Japanese-American population on the continental US of any sizable city although most of Torrance’s foreign-born population comes from Korea. Although Toyota are moving their American headquarters to Dallas, the city is still home to Honda, which is the largest employer. Mitsuwa Marketplace was founded in Torrance in 1972, and although just a shopping center, Eastgate Plaza (home to Bistro Beaux, Hamada-ya Bakery, Go Squared Takoyaki & Taiyaki, J-Sweets, Matsui, Lupicia, Marion Crepes, Mifune, Musha Izakaya, Santouka Ramen, Sushi Nozomi, Teriyaki Inn, Tokyo Ginza Rokumeikan, Torihei, Video Eye, and a Mitsuwa) is more impressive than some cities’ J-Towns. Japanese gardens (Van Nuys’s Japanese Garden, the JACCC’s James Irvine Japanese Garden, the Hungtington’s Japanese Garden, and the rooftop Kyoto Gardens), and temples (Zenshuji Soto Mission, Koyasan Temple, Nishi Hongwanji Temple, and Higashi Honganji). 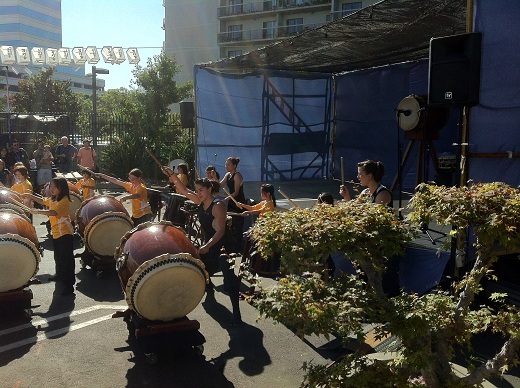 Important cultural observances include Obon and the popular Nisei Week, first held in 1934. As of the 2010 Census there were 334,329 Koreans living in the the Greater Los Angeles Combined Statistical Area, making Los Angeles home to the largest concentration of Koreans living outside Korea. As of the same census, 183,700 people in Los Angeles spoke Korean as a first language and 68,811 residents of Orange County did the same. 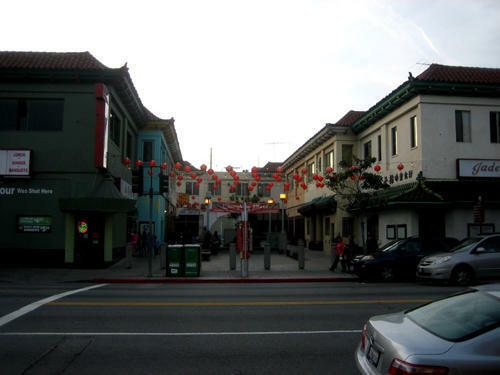 Although there’s little evidence of Koreans’ historic importance there today, Old Koreatown was established around the intersection of Normandie and Vermont streets. 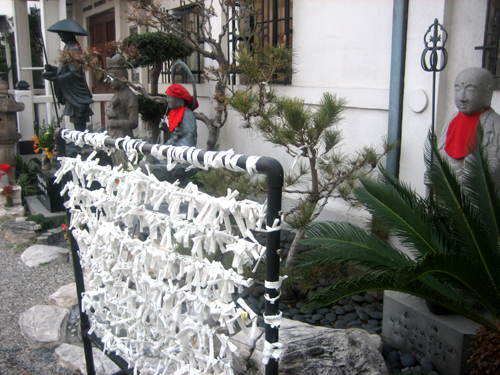 Korean social activist and resident of the area Ahn Chang-ho (aka Dosan) founded the Mutual Assistance Society in 1903 and family home on the USC Campus. 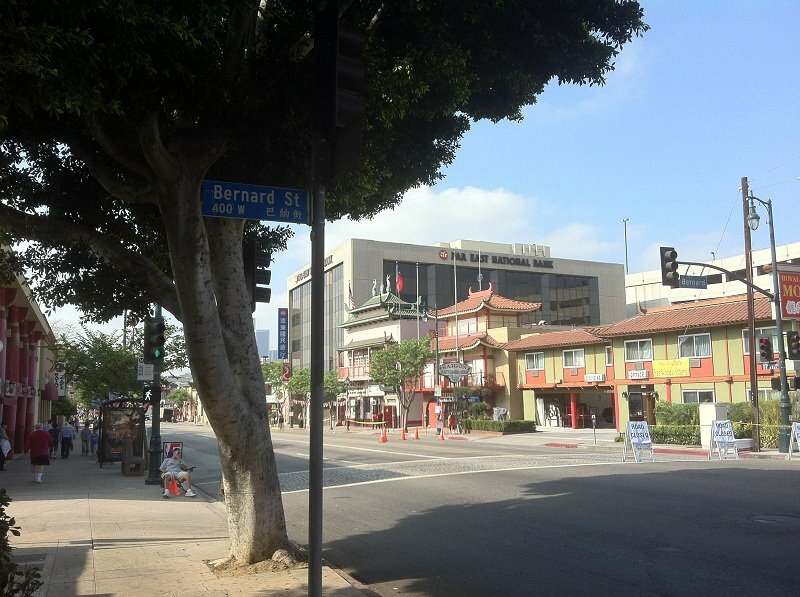 Nearby, the intersection of Jefferson Boulevard and Van Buren Place is designated Dosan Ahn Chang Ho Square. The modern Koreatown emerged along Olympic Boulevard, where Hi Duk Lee opened Olympic Market in 1969. In the 1970s, after dictator Park Chung Hee instituted the Heavy-Chemical Industry Drive which helped encourage roughly 70,000 Koreans to relocate to Los Angeles, usually in the Olympic area. 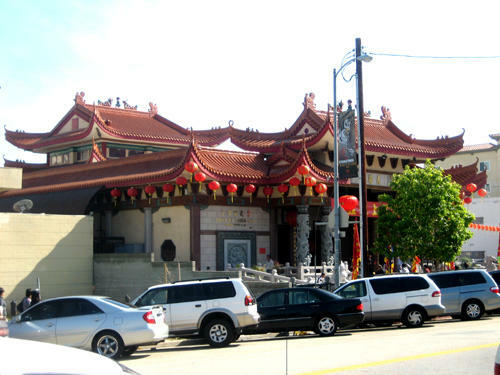 There, Sa Chal Temple (the largest Korean temple in the US) and the Korean Youth and Community Center were both founded in 1974 and Young Bin Kwan, one of the US’s first Korean restaurants, opened in 1975. 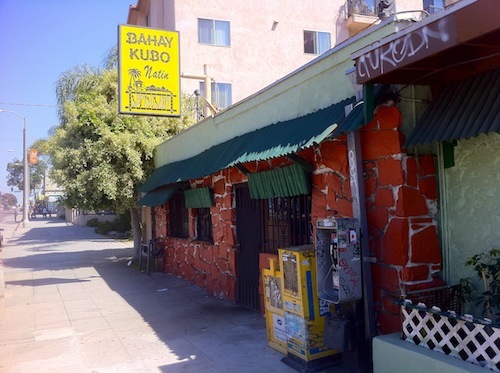 Koreatown was officially recognized in 1980 — although it’s borders had to be expanded far beyond their initial strip of shops along Olympic to the point where it’s hard to discern where it begins and ends. Today Koreatown attracts large numbers of visitors and residents to its Korean restaurants, booking clubs, hostess bars, supermarkets, day spas, shopping centers, and noraebang. 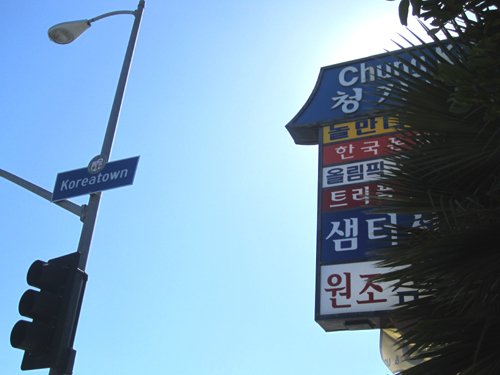 For many Koreans, Koreatown is merely a place to visit, shop or at the very most, an entry point into the city. Koreans live throughout much of Los Angeles County with concentrations not just in Midtown but also Westlake, Little Tokyo, Long Beach, Chatsworth, Granada Hills, Northridge, Porter Ranch, Cerritos, Diamond Bar, Hacienda Heights, Rowland Heights, and Glendale. 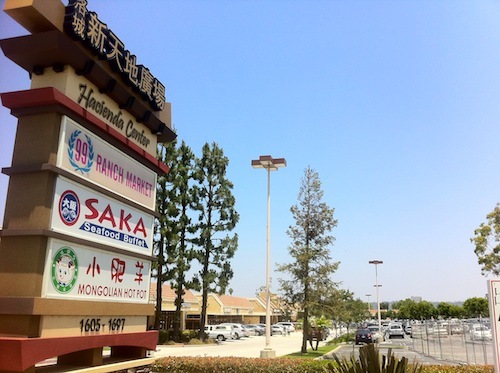 In Orange County, Little Seoul emerged in Garden Grove in the 1980s and today there are many Korean-run businesses, especially along Garden Grove Boulevard. 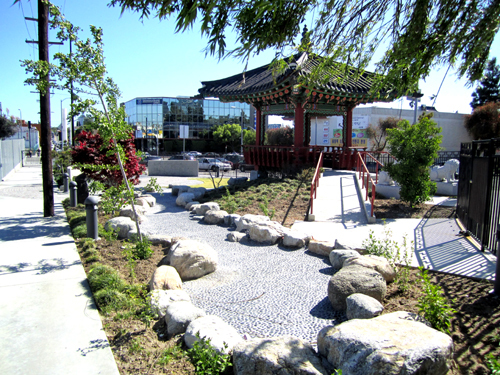 In fact, Little Seoul is supposedly the second largest Korean business district on the West Coast and the fourth largest Korean business district in the nation but as with Koreatown, it is largely a Korean commercial district and Koreans more often choose to live nearby in communities like Buena Park, Fullerton, and Irvine. Even in the late 1990s I (and probably most other non-Korean Angelenos) had little conception of Korean culture but that slowly began to change after the blockbuster film, Swiri, opened here in 1999 and soon Korean dramas and K-pop rode the Korean Wave to popularity. Korean films are regularly exhibited at CGV Cinemas LA on Western Avenue and at the Korean Cultural Center, Los Angeles in Miracle Mile — the latter of which also promotes Korean culture through the exhibition of art, dance, and music. Korean culture is also promoted by the Korean American Museum, the Los Angeles Korean Festival, and Korean radio stations like AM 1650 KFOX (Radio Seoul), AM 1190 KGBN, AM 1540 KMPC (Radio Korea) as well as Korean television stations (CGN, MBC America, and others). 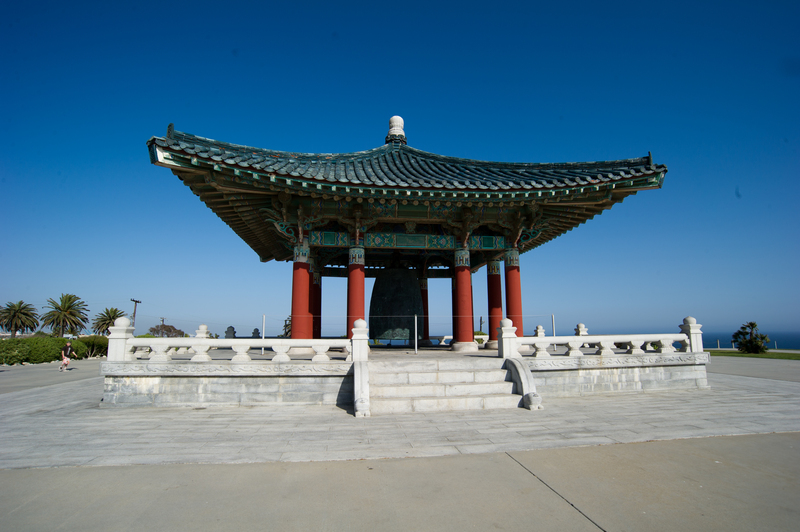 Other Korean attractions include the Seoul International Park in Koreatown and Angels Gate Park‘s Korean Bell of Friendship in San Pedro. But perhaps the most popular aspect of Korean culture for is Korean cuisine although there are simply too many examples to even name a few. California has by far the largest population of Laotian-Americans of any state, 58,424 as of 2010. There are large communities in both northern and southern California, with roughly 7,120 living in the Los Angeles area. There they maintain a relatively discreet profile, reflected mostly by the presence of a handful of restaurants either specializing in Laotian food or offering Lao dishes. Prominent Angelenos of Lao ancestry include Lao-Chinese-Indian-Thai-American comedian and Upright Citizen’s Brigade veteran Kulap Vilaysack is co-founder of Garage Comedy. Local restaurants serving Lao food include Spicy Lao and Vientiane Thai Laos Restaurant(both Garden Grove), Tai-Kadai Kitchen (Rosemead), and The Original Hoy Ka Hollywood (Hollywood Studio District). San Diego is home to Bane Phonekoe. 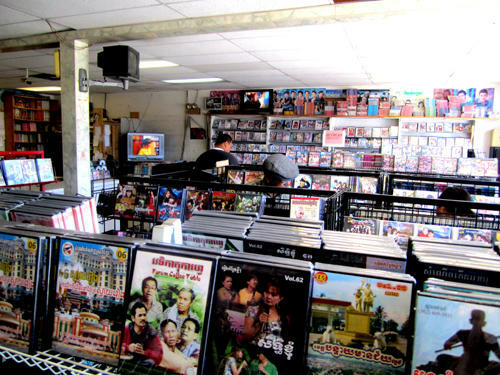 There are Laotian markets for sale on the shelves of Thai & Laos Market in Anaheim’s Little Arabia. 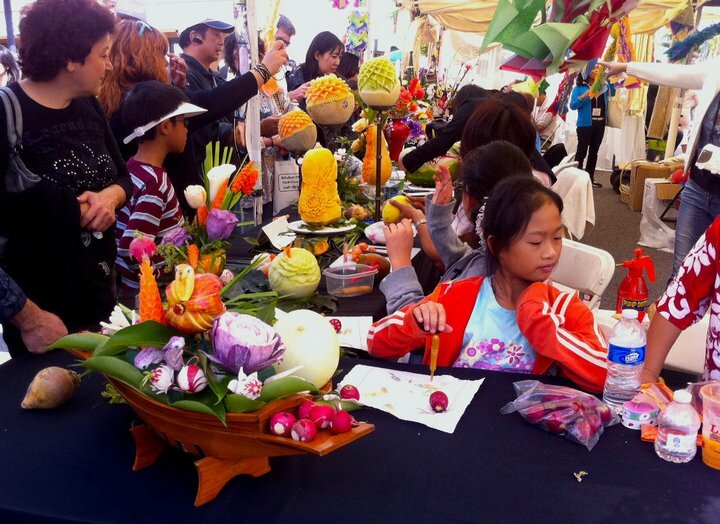 Lao New Year, also known as Songkran, the holiday is observed with festivities at local Lao wats and San Diego’s Lao Community Cultural Center. According to the 2010 census, there were 26,179 Americans of Malaysian background. Malaysian-Americans consist of people of a variety of ethnic origin, including Malay, Malaysian Chinese, Tamil, Banjar, Minangkabau, Indonesian, Iban,Filipino, Nepali, Tausūg, or Dusun. The state with the largest population of Malaysian-Americans is California. In Los Angeles, of the few recognizably Malaysian businesses in Los Angeles, nearly all are in the San Gabriel Valley. Local Malaysian restaurants include Belacan Grill (Tustin), Little Malaysia Restaurant (El Monte), Penang Malaysian Cuisine (West Covina), and PappaRich (Monterey Park). Tyler Market is owned by the owner of The Bull Restaurant. Malaysian dishes are also available (according to the self-appointed and questionable food experts on Yelp) from Bethania Depot, Borneo Kalimantan Cuisine, Bugis Street Brasserie, Man Chan Cuisine, Mutiara Food & Market, Simpang Asia, and Singapore’s Banana Leaf. There have been a few Malaysian-Americans in Southern California noted for their contributions to American culture including poet Shirley Geok-lin Lim (professor atUCSB), climate change denier and USC alum Willie Soon, pop singer Sheikh Abdullah Ahmad, film producer Riza Aziz, and Mel Elias — former president and CEO of The Coffee Bean & Tea Leaf. There are several organizations or officials serving or related to Malaysia including theConsulate General of Malaysia, Tourism Malaysia, and Malaysian Association of Southern California (MASC), The Singapore Malaysia (SingMa) Club of San Diego. As of 2010, there were 18,344 Americans who self-identified as Mongolian-American. The census of that year also showed that 4,993 Mongolians were living in California, making it home to more Mongolians than any other state. About 2,000 Mongolians are estimated to live in Los Angeles. Although relatively low-profile and not thus far recognized with a designated enclave, a good proportion live in Koreatown and surrounding neighborhoods. Mongolian food is heavy on lamb and horse meat, dumplings, fermented horse milk — and decidedly light on spices or vegetables. 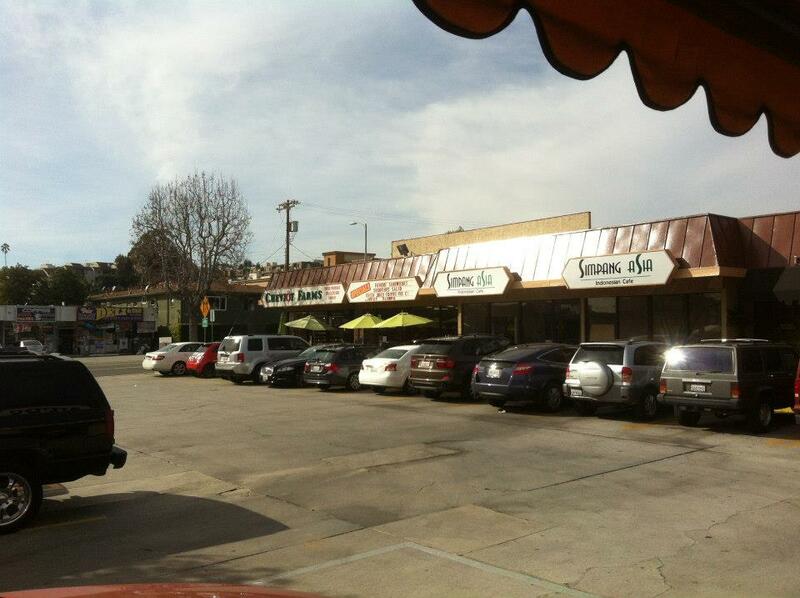 The only actual Mongolian restaurant in Los Angeles is Golden Mongolian Restaurant, located in Wilshire Center. Restaurant owner Ganbat Damba was born in Ulaanbaatar. (Mongolian BBQ is Taiwanese teppanyaki). 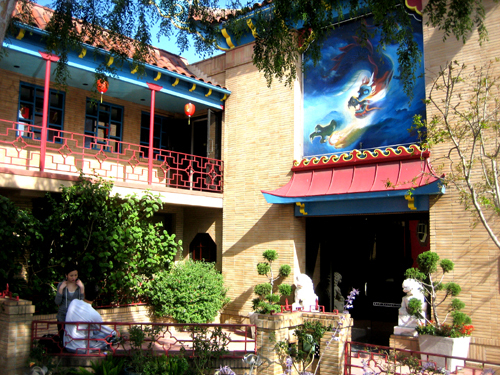 A Mongolian Buddhist congregation gathers for worship at the Dharma Zen Center in Miracle Mile, a Kwan Um School of Zentemple founded by Zen Master Seungsahn (né Duk-In Lee) in 1974.The Mongolian Christian Church, founded by a Korean-American missionary, Cheolhee Lee, hold their services inside the Oriental Mission Church in East Hollywood. 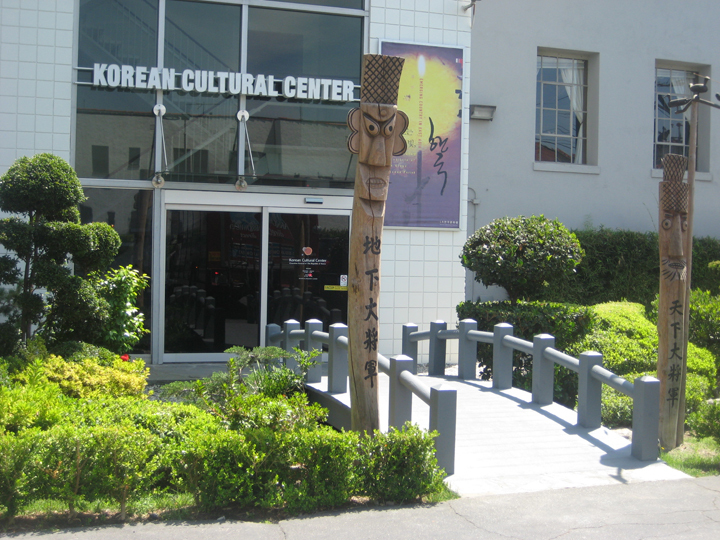 The Mongolian School of Los Angeles, founded in 2007, is located on the second floor of the Korean Buddhist Culture Centre. Los Angeles is the current home to Uyanga Bold. Born Uyanga Boldbaatar inMoscow, she’s also performed as Ella Ekko. 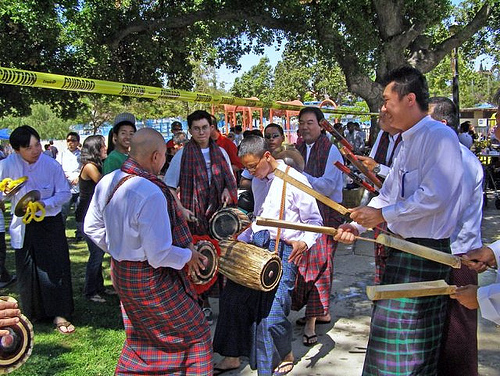 Local Mongolians are served by the L.A Area Mongolian Community Association, Mongolian Community of Los Angeles Metropolitan area, American-Mongolian Buddhist Association, and the California Mongolian Community Association. As of 2010, there were only 6,231 Nepali-Americans living in California. However, after Bhutanese, Nepalis make up the second fastest growing population of South Asian immigrants in the US, largely spurred in part by the Nepalese Civil War, which from 1996 to 2006 directly led to the deaths of some 17,800 Nepalis. Although they most often settle in New York, Washington, DC, Dallas, Boston, and San Francisco, there is a Nepali presence in Los Angeles too. Nepali cuisine is similar to that of its Himalayan neighbors, influenced both by the cuisines of China and India and somehow hearty but not heavy (well, at least the yak-eschewing vegetarian dishes). 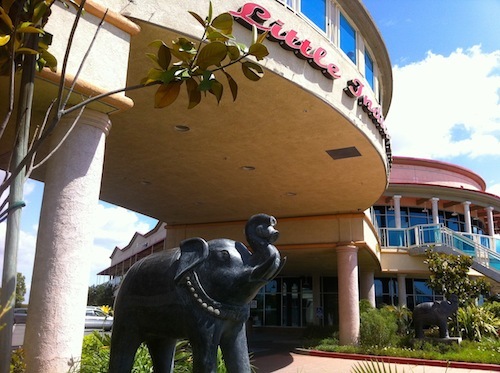 There are several local restaurants serving Nepali cuisine (in some cases just a dish or two) including Himalayan Grill (Huntington Beach); Kamal Palace Cuisine of India (Long Beach); Tara’s Himalayan Cuisine (one in Palms and one in Adams-Normandie); and Himalayan Cafe and Tibet Nepal House (both Pasadena). Pasadena is also home to the Pasadena Language Center, where interested parties can learn Nepali. Nepalis are also served and represented by the the Nepali Times, America Nepal Society of Southern California, the Consulate General of Nepal in Los Angeles, Friends of Nepal – LA, the Los Angeles Gurung Society, the International Nepali Literary Society, Los Angeles Chapter, the Nepal-Japan Sewa Center, the South Asia Network, the Shree Pashupatinath Foundation, USA, and the Non-Resident Nepali Association National Co-ordination Council of America. Los Angeles is home to a large population of Pakistani-Americans, second in size only to the New York-New Jersey area, but the population is fairly diffuse. Locally prominent Pakistanis include Sureño rapper Mr. Capone-E, (born Fahd Azam in West Covina), pop singer Nadia Ali, actor Faran Tahir, and stand-up comedian, actor, and podcast host Kumail Nanjiani. There are 41 teams in the Southern California Cricket Association. The USC Pakistani Student Association every April organizes the SoCal PSA Culture Show. The largest concentration of Pakistani restaurants is located in Little India, where restaurants serving Pakistani food include Food King, House Of Spice, Mezban Biryani Palace, Shan Mahal, and Shahnawaz Halal Tandoori. Elsewhere in Southeast Los Angeles there’s Shahnawaz Restaurant (in Lakewood) and Zaiqa Grill (in Downey). In the South Bay there’s Al Watan Halal Restaurant, Royal Kabob, and The Village (all in Hawthorne), Famous Tandoori (in Lomita), Bilal Halal (inInglewood), Al Noor (in Lawndale), and Makkah Market and Karachi Tandoori (inTorrance). In the Westside there’s Chutneys (in Sawtelle), Bombay Palace (in Beverly Hills), and India’s Grill (in Beverly Grove). In the San Fernando Valley there’s Royal Delhi Palace (in Canoga Park), Tawakal Halal Restaurant (in Chatsworth), and Red Chili Halal Restaurant and Asian Spot (both in Northridge). In Central Los Angeles there’s Biriyani Kabob House and Deshi Food & Groceries (both in Little Bangladesh), India’s Restaurant (in Sunset Junctions), and East India Grill (in Fairfax). Elsewhere in Los Angeles County there’s All India Palace (in Pasadena), Peacock Gardens Cuisine of India & Banquet Hall (in Diamond Bar), Kurry & Kabab Indian Restaurant (in Glendale), Akbar Cuisine of India (with locations in Pasadena and Venice), and India’s Tandoori (with locations in Brentwood, Burbank, Hawthorne, Manhattan Beach, and Miracle Mile). In Orange County there’s Noorani Halal Restaurant (Garden Grove), Ambala Sweets & Spices (Anaheim), Guru Palace, Laxmi Sweets & Spices, and SilverSpoon Wrap ‘N’ Roll (all in Tustin), Taste of India (Fountain Valley), and Bismillah Restaurant (Buena Park). In theInland Empire, there’s Tamarind Restaurant (Chino). For Pakistani groceries, there’s India Sweets & Snacks Mart (in Little India), which reportedly has some Pakistani projects. After Hawaiians, Samoans are the second largest group of Pacific Islanders in the US. In fact, there are more Samoans living in the US today than in the Independent State of Samoa. Archaeological findings suggest that the Samoan Islands were first colonized at least 3,500 years ago. In the late 1800s, the conquered archipelago was divided into in a German colony (German Samoa) and an American territory (American Samoa). Rule of German Samoa was transferred to New Zealand and independence was finally granted in 1962. American Samoa, on the other hand, remains an unincorporated and unorganized territory, ruled by America but whose citizens are afforded few of the same rights. The largest population of Samoans outside of Samoa live in Honolulu but Long Beach has the largest population on the mainland. Substantial numbers of Samoans also live in neighboring communities of the Harbor, South Los Angeles, and Southeast Los Angeles such as Carson (birthplace of the Boo-Yaa T.R.I.B.E. ), Compton, Hawaiian Gardens, and Wilmington, where many of the first Samoans settled in the early 1900s to find work on farms or in factories. The Harbor is also, not surprisingly, home to several Samoan churches and restaurants (including ) whilst other pockets of Samoans in Southern California can be found in Garden Grove and Oceanside. 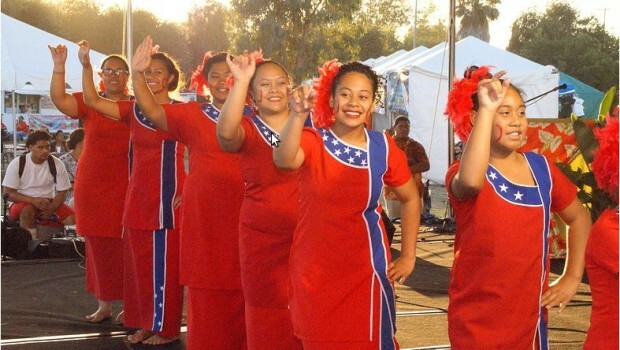 Samoan culture is also additionally celebrated at the Tafesilafa’i Pacific Islander Festival and the Los Angeles Samoan Flag Day. There were 45,159 Sri Lankans living in the US in 2010 and it was only in the 1990s that substantial numbers began arriving, mostly fleeing the Sri Lankan Civil War and mostly settling in and around New York City, central New Jersey, and the Los Angeles metropolitan areas. 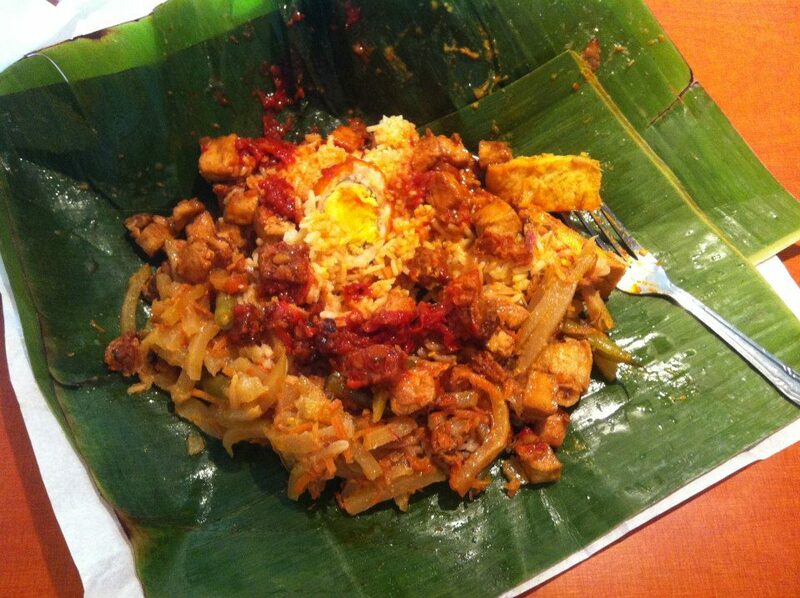 Sri Lankan restaurants tend to be located in the San Fernando and Crescenta valleys and include Apey Kade and Sri Lankan Delight (Tarzana), The Curry Leaf and Serendib Sri Lankan (Reseda), Café Lanka (La Crescenta), and Baja Subs Market & Deli (Northridge). 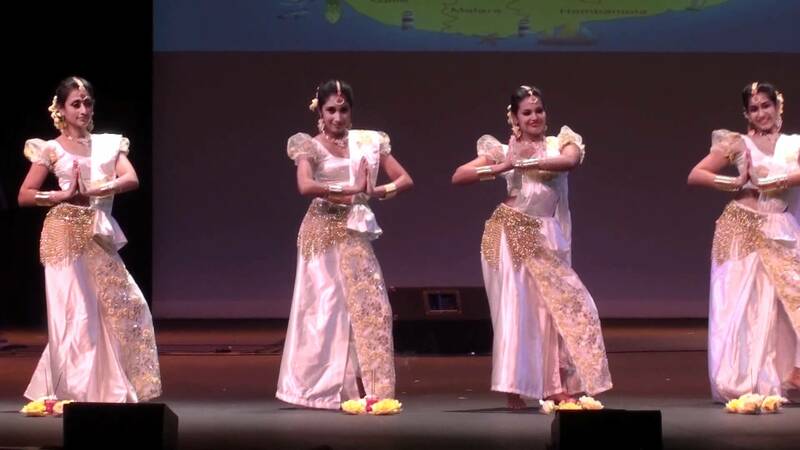 Los Angeles’s Sri Lankan community is also served by the Sri Lanka Foundation and the Sri Lanka America Association of Southern California. Nearly half of all Taiwanese-Americans live in California and the largest concentration of overseas Taiwanese live in and around Los Angeles. 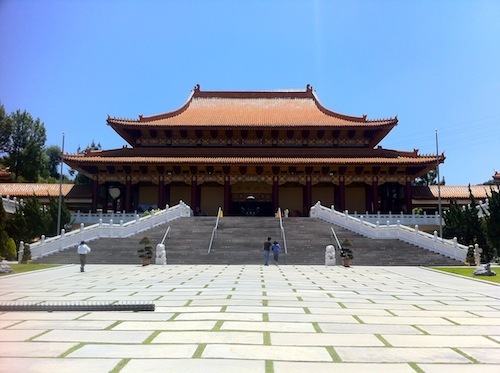 Taiwanese-Americans first began coming to the US in large numbers around 1970, when Frederic Hsieh began marketing properties in Monterey Park to Taiwanese, which became the first Asian-majority city in the continental US in the 1980s. Speaking Mandarin rather than Cantonese, most Taiwanese eschewed Chinatowns for suburbs and after first remaking Monterey Park eventually became the dominant ethnicities of Alhambra, Arcadia, Diamond Bar, Rosemead, Rowland Heights, San Gabriel, San Marino, Temple City, Walnut, and Hacienda Heights. Other concentrations of Taiwanese have made there homes in Los Angeles regions of the Santa Monica Mountains, the South Bay, and the Westside. 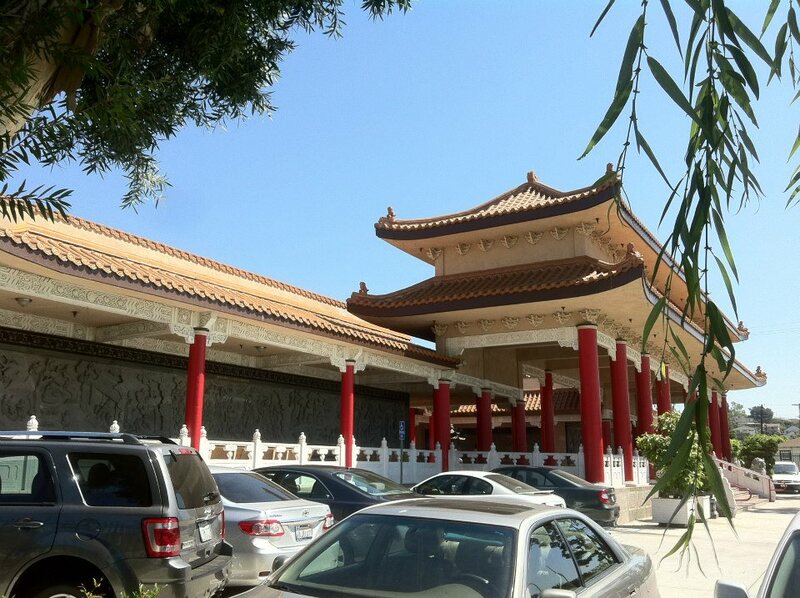 Hacienda Heights is home to Hsi Lai Temple, one of the largest Buddhist temples in the country. 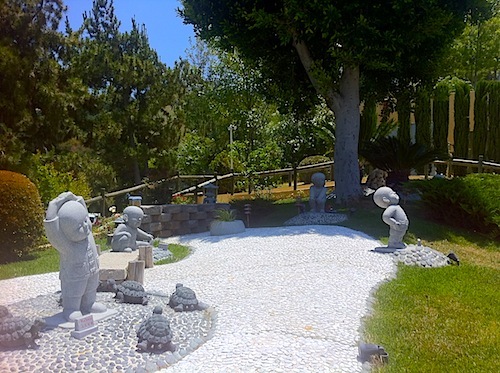 In Westwood, the Taiwan Academy in Los Angeles offers free music, dance, lectures, food, and Taiwanese films. 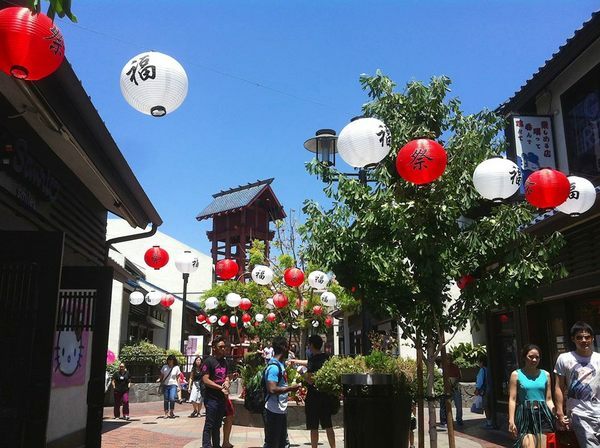 Irvine is home to the Irvine Chinese School and most of Orange County’s Taiwanese restaurants. Taiwanese culture is also promoted at the annual Taiwanese American Heritage Week, held on the campus of Cal State LA in University Hills. Other Taiwanese innovations that have become popular include boba, Mongolian BBQ, night markets, themed pijiu wu, and stinky tofu. Only time will tell if Americans will embrace betel nut kiosks, graveyard strippers, and glove puppetry. Today there are more than 80,000 Thai living in Los Angeles. The first large numbers arrived in California in the 1980s, when Thailand was suffering from a financial crisis. The seeds of Thai Town were planted in East Hollywood when Thailand Plaza was constructed in 1992. Today there are about 50 Thai businesses in Thai Town, including clothing stores, massage parlors, markets, &c. However, nothing likely draws more visitors to Thai Town than Thai restaurants. It’s pretty safe to say that Thai food, whether Central, Isan, Northern, or Southern Thai, is the best cuisine in the world. There are too many Thai restaurants in the Southland to name but I’ve really enjoyed Bulan, Jitlada, Palms, Sanamluang Café, and many others. My Thai neighbor, himself an excellent cook, also recommends Lacha Somtum, at which I’ve yet to eat. Given Thai food’s popularity, I feel compelled to mention that I am confused as to why no brand of Thai sriracha is as popular as the ho-hum American version, Huy Fong. The most popular observance in Thai Town is Songkran, a New Year’s Festival celebrated by several south and southeast Asian cultures but which in Thai Town includes Thai beauty contests, dance, Muy Thai and a Singha beer garden. 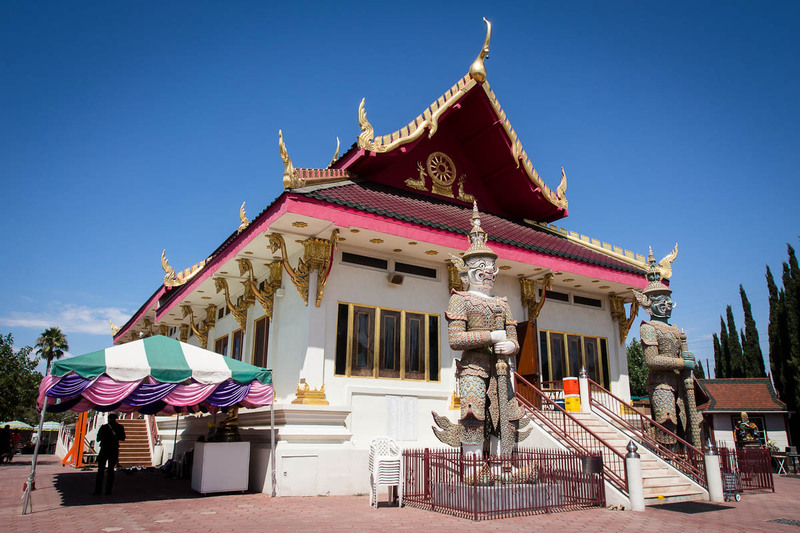 Songkran is also observed at Wat Thai, a beautiful Thai temple located in the San Fernando Valley. Whereas Thai Town is a mostly commercial enclave, many Thai Angelenos actually live in Valley neighborhoods like Panorama City, Sun Valley, and Van Nuys — which are consequently home to many Thai restaurants but with which I’m less familiar. As of the 2010 census there were 57,183 Tongans living in the US, making them the fourth largest Pacific Islander group after Hawaiians, Samoans, and Chamorros. 22,893 Tongans then lived in California, with 6,489 calling the Inland Empire, Orange, or Los Angeles County home. 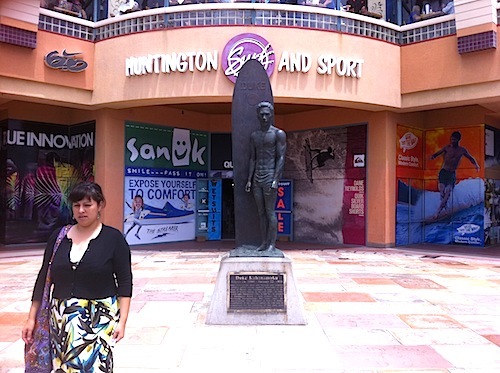 In Los Angeles, the communities of Carson, Hawthorne, Long Beach, and Lennox are where most local Tongans are found. There are few official public displays of Tongan culture in Los Angeles, although the Aquarium of the Pacific’s annual Pacific Islander Festival promotes the culture of all Pacific Islanders, including Tongans. 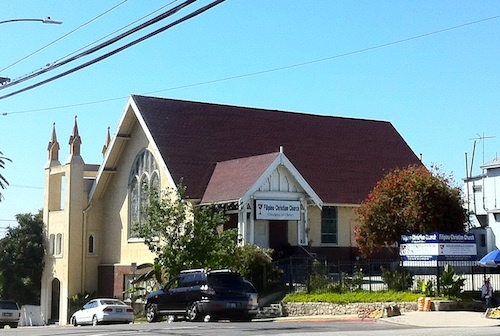 Traditionally, Tongans are organized around large family clans known as “kainga,” and that tightly-knit tribalism is evident in several Tongan organizations, most visibly in Tongan churches, which locally include Free Church of Tonga (with congregations inCentury Palms and Riverside), Lennox Tongan United Methodist Church (in Lennox),Free Wesleyan Church Tonga (Inglewood), and formerly, North Hollywood‘s Los Angeles Tongan Seventh-Day Adventist Church. Organizations serving the Tongan community include the Tongan Community Service Center, founded in Hawthorne in 1988, the Saturday Tongan Education Program, founded by Pomona College’s Asian American Resource Center, and the Tongan American Youth Foundation. Prominent local Tongans include Ofa Tulikihihifo, the all-time leading basketball scorer for California State University, Northridge and the LAFD’s first Tongan firefighter, and former NFLer Chris Ma’umalanga, who organized the Tonga High School Conference atCalifornia State University, Dominguez Hills to help combat high dropout rates in the community. Lennox’s El Zorro Markethas a dedicated Tongan section, featuring kapa pulu (canned corned beef), kapa ika(canned fish), kapa niu (coconut milk), sipi (lamb), kumala (sweet potato), rice noodles, and ma pakupaku (breakfast crackers). Uyghurs are an Asian people who mostly live in the Chinese province of Xinjiang, which most view as their homeland. There are significant diasporic populations in Kazakhstan,Uzbekistan, Kyrgyzstan, Turkey, and Russia. The US also has a small population, most of whom live in either the Washington, DC or Los Angeles metropolitan areas. Los Angeles Uyghurs–Demonstration at Santa Monica. The most obvious signs of Uyghur presence in Los Angeles is in restaurants. Several of the local restaurants offering Uyghur dishes areHunanese. Around 5,000 Uyghurs live around Taoyuan County and other parts ofChangde in Hunan province, believed to be descended from Uyghur general Hala Bashiand his soldiers, who were sent to Hunan by the Ming Emperor in the 14th century to crush the Miao rebels. Uyghur restaurants and restaurants serving Uyghur dishes include China Islamic Restaurant (in Rosemead), Feng Mao Lamb Kebab (in Wilshire Park), Omar’s Xinjiang Halal Restaurant (in San Gabriel), Silk Road Garden (in Rowland Heights), Mao’s Kitchen (in Melrose), and Mas’ Chinese Islamic Restaurant (in Anaheim). There is no category for Uzbek-Americans on the US Census but an estimated 20,000 Uzbeks are estimated to live here. The most visible communities live in the New York boroughs of Brooklyn and Queens or the nearby city of Fair Lawn, New Jersey. The first large wave arrived after the Soviet invasion of Afghanistan in 1979. Due to the presence of a few Uzbek restaurants in Los Angeles, I’d assume that there are some Uzbeks living here too. Today there are three establishments selling (or planning to sell) Uzbek food including EuroAsia Restaurant (in Encino) and Tashkent Produce (in Valley Village). Samarkand Cafe is currently moving toward an opening Downtown‘s Historic Core. The Uzbek president’s youngest daughter, Lola Karimova-Tillyaeva, has lived in Los Angeles County for at least a few years, it seems. In 2013 it was reported that she put her $100,000 per month Beverly Park rental back on the market after paying $47 million of a Beverly Hills mansion known as “Le Palais,” built by developer Mohamed Hadid. Actress Milana Aleksandrovna Vayntrub was born in Tashkent in 1987, when Uzbekistan was part of the USSR. When three, she moved with her parents to West Hollywood. She dropped out from Beverly Hills High School and later trained at the Upright Citizens Brigade. Vayntrub is Jewish. Jewish traders were mentioned by Marco Polo in his chronicles of Central Asia and some writers suggest that Jews were present in Central Asia around the 10th century, BCE. In the Middle Ages, Bukhara was still home to a large Jewish population, known as Bukharan (or Bukhari) Jews. About 175,000 Vietnamese arrived after the fall of Saigon in 1975, many of whom were members of the bourgeoisie, Catholic, professional, and proficient in English. After the 75ers, another wave of Vietnamese began arriving after 1978, many of whom were poor, less-educated, and came from rural backgrounds to the US as “boat people.” After President Jimmy Carter passed the United States Refugee Act in 1980, immigration from Vietnam increased even more and more than half a million Vietnamese arrived in the two decades that followed. A less discussed third wave arrived following the passage of the American Homecoming Act in 1988. Today the Southland is home to more than 250,000 Vietnamese, two thirds of whom live in Orange County, which is home to 40% of the entire nation’s Vietnamese population. 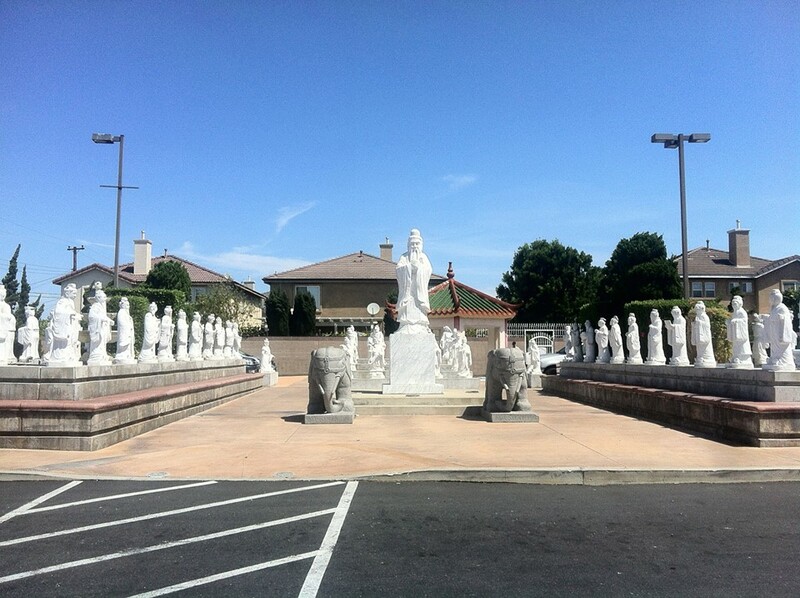 Little Saigon attracts mostly Vietnamese, many drawn to the shopping centers like Asian Village Center, the parking lot of which includes a long relief mural depicting the legendary Vietnamese heroes Trưng Trắc and Trưng Nhị, and a sculpture garden depicting Confucius and his disciples known as the Vietnamese Cultural Court. Across the street is Phước Lộc Thọ (usually referred to in English as Asian Garden Mall) which hosts the Little Saigon Night Market. Down the street is Khu Siêu Thị (Today Plaza), which was featured, along with the nearby sculpture garden, in the film The Fast & the Furious. Little Saigon is also popular for its eateries including the local chain, Bánh Mì Chè Cali, which began there. 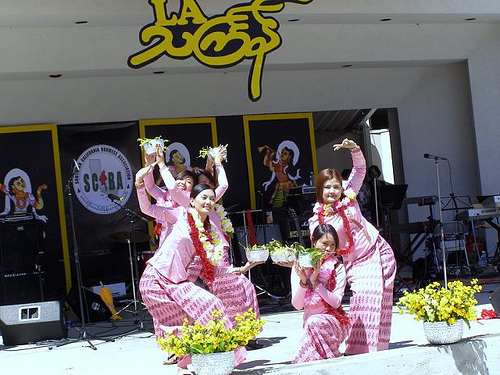 Other cultural offerings of Little Saigon include the Vietnamese International Film Festival, the notorious lingerie cafes, Euro disco (Vietnamese New Wave) clubs, the SaiGon Performing Arts Center, and annual observances of Tết Nguyên Đán — which take place in various locations. 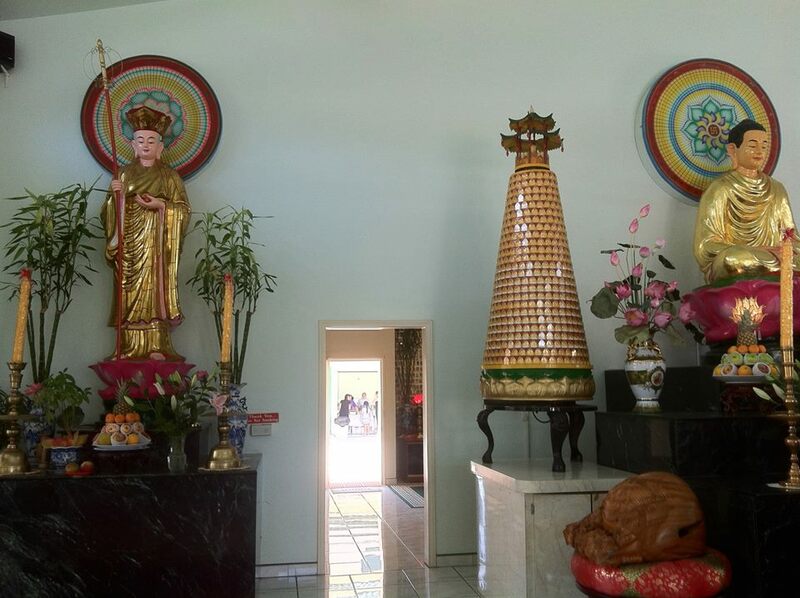 In Los Angeles County, many Vietnamese and Hoa Chinese settled in the 1980s in the San Gabriel Valley, in El Monte, South El Monte, and particularly the city of Rosemead, where stretches of Garvey Avenue and Valley Boulevard boast several popular Vietnamese restaurants. The Vietnamese diaspora in both Orange and Los Angeles counties is served by FM 106.3 KALI FM (Saigon Radio), AM 1480 KVNR (Little Saigon Radio), Little Saigon TV, Saigon TV, Saigon Broadcasting Television Network, VHN-TV, VNA TV, and Nguoi Viet Daily News (Nhật-báo Người Việt).